Democratic Rep. John Conyers resigned from Congress on Tuesday after a nearly 53-year career, becoming the first Capitol Hill politician to lose his job in the torrent of sexual misconduct allegations sweeping through the nation’s workplaces. The 88-year-old civil rights leader and longest-serving member of the House announced what he referred to as his “retirement” on Detroit talk radio, while continuing to deny he groped or sexually harassed women who worked for him. He endorsed his son John Conyers III to succeed him. Conyers, who was first elected in 1964 and went on to become a founding member in 1971 of the Congressional Black Caucus, easily won re-election last year to his 27th term in his heavily Democratic district in and around Detroit. But after being publicly accused by one woman after another in recent weeks, he faced growing calls to resign from colleagues in the House, including Democratic Leader Nancy Pelosi. As the furor grew, he stepped down as the ranking Democrat on the House Judiciary Committee, and the Ethics Committee began investigating him. It will be up to Republican Gov. Rick Snyder to set a date for a special election to pick someone to serve out the remaining year in Conyers’ two-year term. 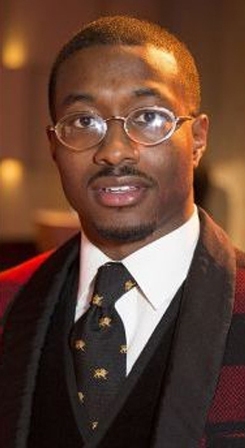 State Sen. Ian Conyers, a grandson of Conyers’ brother, said he plans to run for the seat. On Monday, yet another allegation was lodged against Conyers, when a woman who said she worked for him for more than a decade, Elisa Grubbs, said he slid his hand up her skirt and rubbed her thighs while she was sitting next to him in the front row of a church. Grubbs also said she repeatedly saw Conyers touching and stroking the legs and buttocks of other female staffers. 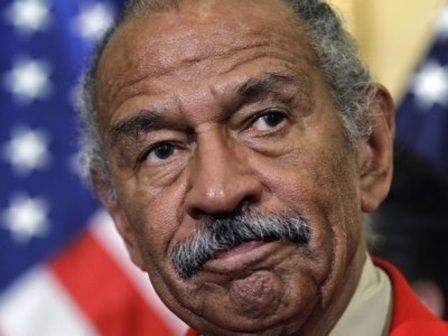 Such behavior “was a regular part of life while working in the office of Rep. Conyers,” she said. Grubbs is the cousin of another accuser, Marion Brown, who reached a confidential, taxpayer-funded settlement of more than $27,000 over allegations Conyers sexually harassed her. That settlement came to light in mid-November, setting off the cascade of allegations against the congressman. While Hollywood and media titans accused of sexual misconduct have been swiftly fired in recent weeks, including studio boss Harvey Weinstein and TV news hosts Matt Lauer and Charlie Rose, that has not been the case in Congress, where lawmakers have spoken of due process and clung to the argument that the voters have the final say. Democratic Sen. Al Franken of Minnesota, Republican Rep. Blake Farenthold of Texas and Democratic Rep. Ruben Kihuen of Nevada have all rebuffed calls to step down, though Barton has said he won’t seek re-election next year. He also complained that he was not being afforded due process to defend himself, and cited his health problems as another factor in his decision. He added that he hopes his retirement will be viewed in the “larger perspective” of his more than 50 years as a lawmaker. He co-sponsored a 1972 resolution recommending President Richard Nixon’s impeachment for his conduct of the Vietnam War and regularly introduced a bill from 1989 onward to study the harm caused by slavery and the possibility of reparations to the descendants of slaves. After a 15-year struggle, Conyers succeeded in establishing the Rev. Martin Luther King Jr.’s birthday as a federal holiday in 1986. He employed civil rights legend Rosa Parks at his Detroit district office for more than two decades. Word of Conyers’ resignation was met with sadness among House Democrats. The uproar had divided members of his party, especially those in the Congressional Black Caucus. Pelosi, too, had struggled, calling Conyers an “icon” before pressing days later for him to go. The furor over Conyers unfolded as the sexual misconduct allegations against Franken and Alabama Senate candidate Roy Moore sent members of both parties rushing to choose sides.